When we talk about skin care regimen we always prefer to look after the overall skin rather than focusing on specific ones. We tend to use same moisturizer under the eyes rather than using a different eye cream. Use the same scrub on the body which we use for the face. We would need to understand that every part of a body and skin is different hence it requires different care altogether. For nose we generally use the same cleanser, mask and scrub but when it comes to the dark spots on the nose the regular face masks don’t help. Hence we need to incorporate some different methods and remedies to take care of it. 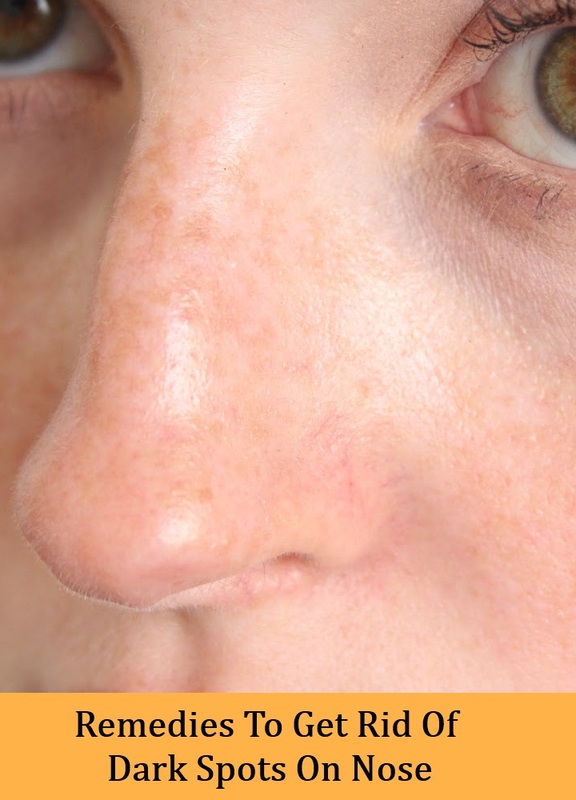 Today we are going to discuss about few home remedies to get rid of dark spots on the nose. Lets have a look. We all are aware that potato contains natural bleaching properties due to its starch content. Hence it is very beneficial to lighten the dark spots on the nose. Apart from this it also helps with the skin pigmentation. You would need to take one potato and extract its juice. Now apply it on the nose and let it dry. Once dries wash off with cold water. You can follow this remedy daily to get best results. Vitamin E works like a magic on dark spots and blemishes. It contains higher amount of anti oxidants which helps to fight with free radicals that causes the skin damage. Apart from this it also helps to repair the skin cells and give you natural glow. You would need to puncture one vitamin e oil capsule and extract oil from it. Massage it on your nose for minutes and leave it over night. Wash off with cold water in the morning. You can follow this remedy as a night therapy for your nose. Lemon & Turmeric helps in a great way to get rid of the dark spots on the nose. You would need to take one teaspoon of lemon juice and a pinch of turmeric powder to it. Mix it well to get a smooth paste. Now apply this paste on your nose and let it dry. Wash off after wards with warm water . Lemon and Turmeric also helps to lighten the skin tone with regular usage. Butter milk contains lactic acid and enzymes which helps to exfoliate skin gently and lighten the dark spots. It also helps in a great way to get rid of a pigmentation. You would need to mix two teaspoons of buttermilk and one teaspoon of tomato juice. Mix it well and apply this mixture on the nose with the help of a cotton. Let it dry and wash off afterwards with cold water. You can follow this remedy daily to get best results. Saffron is very well known ingredient for skin lightening. The Lactic acid content of milk also helps to lighten the skin tone and get rid of pigmentation. The mixture of these two helps to lighten the dark spots on the nose. 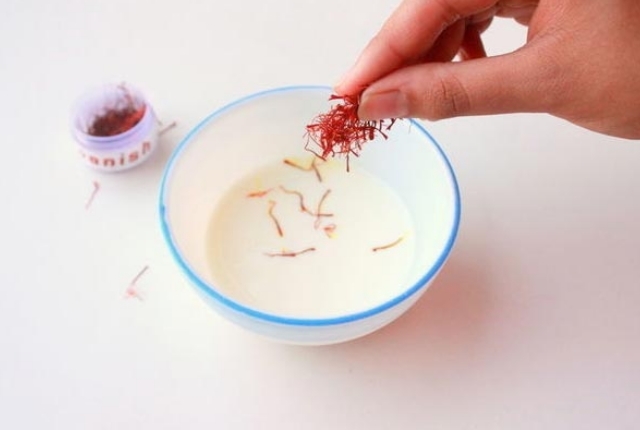 You would need to soak few strands of saffron in the milk for few minutes. Once the mixture turns yellow apply it on the affected area with the help of a cotton. Let it sit for 10 minutes and wash off after wards with cold water. Yogurt and Coriander both are known as excellent natural skin lightening ingredients. The mixture of these two helps to get rid of the dark spots on the nose and lighten the skin tone. You would need to take few fresh leaves of coriander and grind it to a thick paste with the help of a water. Now add one teaspoon of yogurt to it and mix well. Apply this paste on your nose and let it sit for 10 minutes. Wash off afterwards with cold water. You can follow this remedy twice in a week for best results. Fullers earth also helps to lighten the skin due to its mineral content while honey helps to nourish the skin. To prepare this mask we would need two teaspoons of fullers earth, half a teaspoon of lemon juice and one teaspoon of honey. Mix all the ingredients well and make a thick paste. Apply it on your nose and let it sit for 15 minutes. Wash off afterwards with cold water. You can follow this remedy twice in a week for noticeable results. Do try these remedies and share your experiences with us.